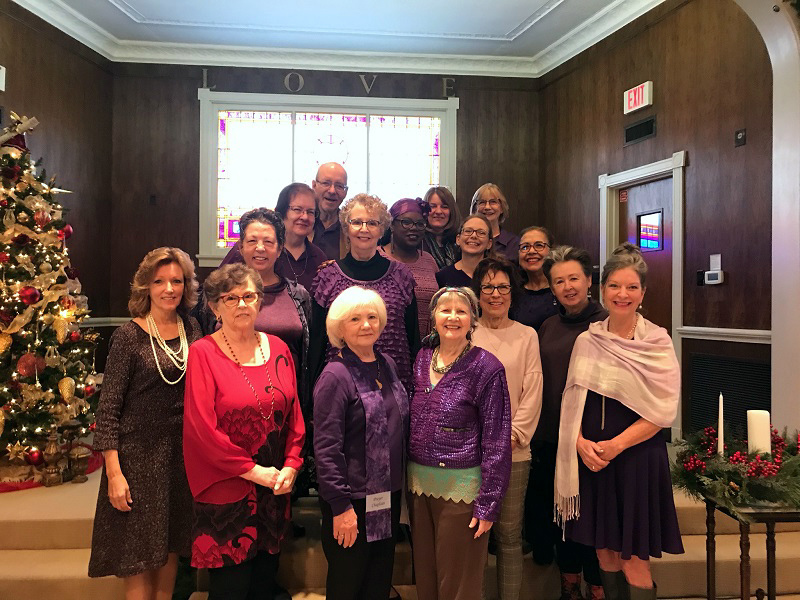 The Unity movement was founded on prayer, and our support of one another through prayer and meditation activities is integral to who we are at Unity on Greenville. Please know that we are always available to walk with you through prayer support from Reverend Karen Romestan, one of our Chaplains, or members of our congregation. Our approach to prayer is affirmative, confidential, and is based on positive prayers and affirmations that have universal appeal. 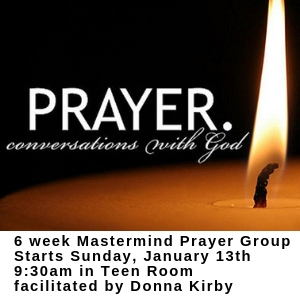 Our Prayer Chaplains are available to pray with you immediately after our Sunday Services. In addition, all members of Unity on Greenville receive a monthly phone call from a Prayer Chaplain offering prayer support. If you are not a church member, but would like to receive a monthly Prayer Chaplain call, please contact the church office. I invite the Holy Spirit to take charge of my journey to prosperity. I let go of all that has gone before and I now begin anew. I give thanks for the many blessings that are in my life this very moment. I am free and forgiven for all the mistakes I have made in the past. I open myself now to expressing a brand-new magnificence, to being all that I can be. I open myself to the infinite possibilities that are mine to choose. I open myself to receiving all the goodness I can have and to all of the greatness I can achieve. Through the power of the Christ within, I commit to healing my relationships, harmonizing my emotions, and renewing my mind. I Am filled with a mighty faith that empowers and frees me to live my divine purpose. With deep gratitude for Your unlimited good, dear God. I step out with clarity, focus, ease and grace. And so it is; Amen. We invite the Holy Spirit to take charge of Unity Church of Christianity's journey to prosperity. We let go of all that has gone before and we now begin anew. We give thanks for the many blessings that are in our church this very moment. We are free and forgiven for all the mistakes we have made in the past. We open ourselves now to expressing a brand-new magnificence, to be all that we can be. We open ourselves to the infinite possibilities that are ours to choose. We open ourselves to receiving all the goodness we can have and to all of the greatness we can achieve. Through the power of the Christ within, we commit to healing our relationships, harmonizing our emotions, and renewing our minds. We are filled with a mighty faith that empowers and frees us to live our divine purpose. With deep gratitude for Your unlimited good, dear God, we step out with clarity, focus, ease and grace. Amen. Adapted from Four Spiritual Laws of Prosperity by Edwene Gaines. You may also receive prayer support by placing your prayer request in our prayer box in the foyer or online. Reverend Karen Romestan and our Prayer Chaplains hold these requests in their prayers, and the prayer requests are also forwarded to Silent Unity at Unity Village where they are held in prayer for 30 days. Click here for online Prayer Requests from Unity on Greenville. Every month, following a special prayer, with Rev. Karen Romestan and Donna Kirby, our Office Administrator, Spirit guides the drawing of 12 adult and one child’s names from our church mailing list. Each person receives a letter from our Prayer Ministry, sharing the exciting news that they are being held in prayer for the entire month! Their names are printed in our weekly email and Sunday bulletin and are held in prayer by our Prayer Chaplains and our entire Unity community for 30 days. Also, their names are forwarded to Silent Unity at Unity Village where they receive prayer 24 hours per day for 30 days. Unity on Greenville has expanded our monthly Unity Cares prayer program to include local businesses and church vendors through a new program called Unity Cares for Business. Every month the names of six business are randomly drawn from our church vendor list and our Unity Cares for Business prayer basket, which holds business cards placed by our congregation. Our entire congregation is then invited to hold the businesses in prayer for 30 days; the names of the businesses are also sent to Silent Unity where they receive prayer support 24 hours per day for 30 days. Our business abides in the endless love, health, and prosperity of a loving, giving God. We release the strength of God into all thoughts about our customers, employees, and business. We are open and receptive to God's unlimited good, knowing our attitude of gratitude creates the space for grace. Since God is our Source, our vision of endless possibility and unlimited good continues to expand. With clarity, focus, ease and grace, we accomplish great things. Unity came into being because of Myrtle Fillmore’s successful spiritual healing of herself with her prayer associates. It was Charles Fillmore’s curiosity about the cause of her successful spiritual healing which led him to research the major religious traditions of the world, resulting in his and Myrtle’s formulation of the teachings of Unity. In those early days of Unity (in the late 1880’s), the primary focus of Myrtle’s healing circles was on physical and psychological healing of those that came to her after hearing of her success. Through the 120+ years since its founding, Unity has continued its healing tradition through prayer circles and other informal programs presented by each ministry’s spiritual leader. Most of these approaches have been based upon the principle that all healing occurs first in consciousness, then in the physical form. Sacred Healing facilitators here continue that healing tradition today. Through the research of two medical doctors, Dr. Brugh Joy and Dr. Richard Moss, and the integration of Unity’s spiritual principles by Rev. R. Scott Sherman, a contemporary form of energetic healing has been developed that more deeply embeds the healing tradition in Unity. Our Sacred Healing facilitators have been certified in this process and are eager to serve you. Hundreds of individuals have experienced healing of physical, mental, financial and relationship issues immediately or soon afterward. A key principle of Unity’s Sacred Healing practice is that each of us was born to be healthy. Our “dis-ease” or other life issues come from restrictions in the free flow of our life energy. Freely flowing energy can be enhanced by the facilitator’s “connecting” with 12 key energy points on the body (see diagram at right). As the facilitator settles into the consciousness that sees you as completely healed and holding you in unconditional love and high regard (done in the opening minutes of the sacred healing practice), The facilitator, with your permission, will lightly and progressively touch these 12 points and any other areas you request to receive special attention for healing and balancing. You may request that the session be performed without touching. She/he will continue holding you in unconditional love, seeing you just as you were created – healed, balanced and whole. Upon completion of the progression through the energy points, she/he will then rest in meditation and silent prayer with you for a few minutes before beginning the “regression” through the 12 energy points – all the while holding you in a loving consciousness. The process takes about 40 minutes. You will be lying on your back, fully clothed on a comfortable massage table the entire time surrounded by beautiful music and prayer specifically created for this experience. Sessions every 2nd Sunday 12:45 – 3:00 Sign up in the foyer.